Regional Wedding Industry Award Finalist Accessory Designer - Hey Jules! - HEY JULES! Regional Wedding Industry Award Finalist Accessory Designer - Hey Jules! 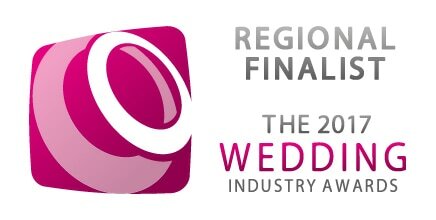 I was thrilled to be a finalist in 2017 Wedding Industry Awards. The awards are a true reflection of customers views as the whole process is based on a secret voting and scoring system, only allowing couples to vote if they used your service in the last 12 months. The actual awards night was great fun and a wonderful atmosphere celebrating the best that the South West have to offer. After the awards ceremony we are given our feedback from brides, which is set out below. Ability of your accessory supplier to understand, interpret and realise your vision and ideas. Breadth of the range of items available. Quality of customer service and communications received from this supplier. Quality of expertise and guidance received from this supplier. Quality of this supplier's web presence (web site, facebook etc). Quality of the item(s) you purchased.